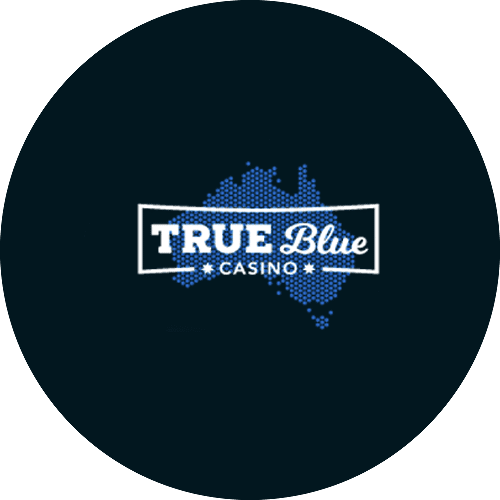 Celebrate new pokie releases at True Blue Casino, which offers its players special bonus es after launch day. From now and into April, enjoy the two bargain bonuses for the new Fire Dragon pokie and Trigger Happy. In addition to this, the Slots Hero promotion comes with a special bonus and free spins on Caesar’s Empire. All three pokies come from the popular Realtime Gaming (RTG) gaming software provider. True Blue Casino welcomes the Fire Dragon online pokie with a huge match deposit bonus offer. Fire Dragon, the newest Jackie Chan pokie, takes us to a world where martial arts rule the streets. Deposit a minimum of $30, enter the promotional code, and get a 240% match deposit bonus for Fire Dragon. Along with the large match deposit bonus, you get to try out the new pokie with 30 free spins. Redeem both these offers with a single bonus code, SUPERSALE240. Bonus and free spins winnings come with a 10x wagering requirement, however, there is . no maximum cash out amount. When playing through this requirement, do so on pokies and keno games. When you’re done with martial arts and want a change of scenery, head off to the Wild Wild West. The Trigger Happy pokie comes with two wild cowgirls and a great bonus offer. Get into your Wild West mode and simply ‘howdy partner’ and ‘yeeha’ your way into the next pokie promo. The Trigger Happy pokie comes with a massive 260% match deposit bonus. Simply deposit a minimum of $60, enter the coupon code, and begin play on this new game with bonus credits. Along with the match deposit bonus, when you enter the special bonus code, you also get 40 free spins. Redeem both these top quality special offers with a single coupon code SUPERSALE260. Make sure to fulfill the 10x play through requirements for both bonus and free spins winnings. Play only pokies and keno games to do so. Once you fulfill the wagering requirements, there is no maximum cash out amount associated with this offer. Play the current Slots Hero promo on the Caesar’s Empire pokie for a 275% match deposit bonus. Add in 50 free spins on the specially selected pokie and redeem both with the SLOTSHERO coupon code. Deposit at least $30, enter the bonus code, and get playing. There is a 10x wagering requirement and no max cash out.